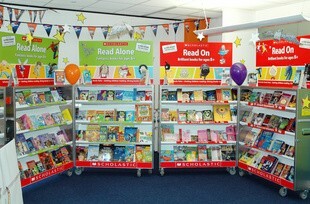 If you are unable to come along and help your child to choose a book there are two other options. Each child will receive a leaflet detailing the books available at the Fair. You can look through the selection of books in the leaflet, make your choice, then complete the order form and return to the school with payment. Your child will then receive the books you have chosen. You can send money to school (cheques should be payable to the school) and your child’s teacher can assist in an appropriate choice of books. If you wish to choose this option, please go to the ‘Diary/Dates for your Diary’ tab and complete the tear off slip and return it to school. Our school will benefit from all sales. The funds generated will allow us to provide books for the children and/or teachers’ resources.